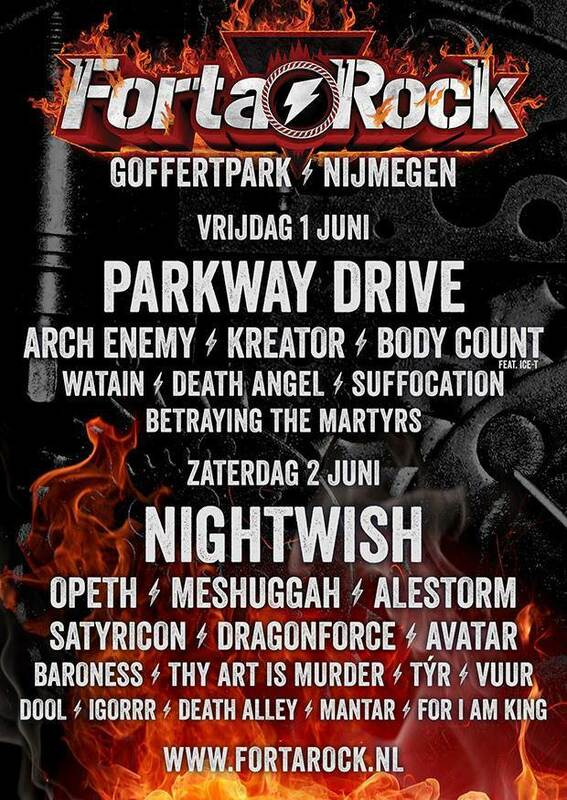 Fan-filmed video footage of DEATH ANGEL's June 1 performance at the FortaRock festival at Goffertpark in Nijmegen, the Netherlands can be seen below. DEATH ANGEL's latest album, 2016's "The Evil Divide". was once again recorded at AudioHammer studios in Sanford, Florida with producer Jason Suecof (TRIVIUM, DEICIDE), who previously worked on 2010's "Relentless Retribution" and 2013's "The Dream Calls For Blood".